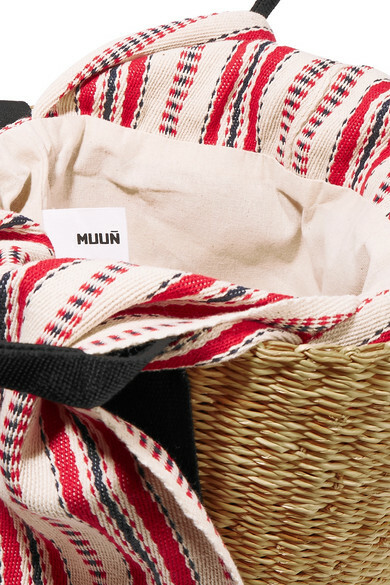 Muuñ's bags are inspired by Nyariga baskets and each one has been hand-woven from sturdy straw using traditional Ghanaian weaving techniques. 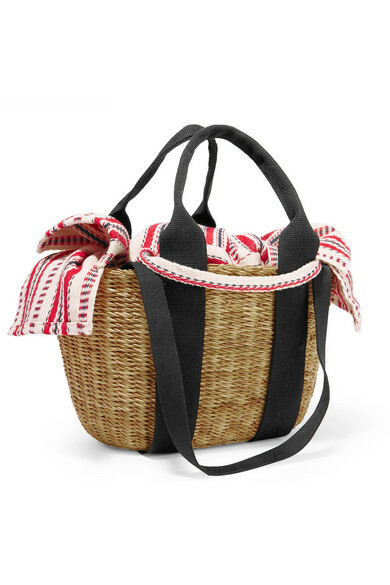 This mini 'Caba' style has a removable striped cotton-canvas pouch and contrasting black top handles. 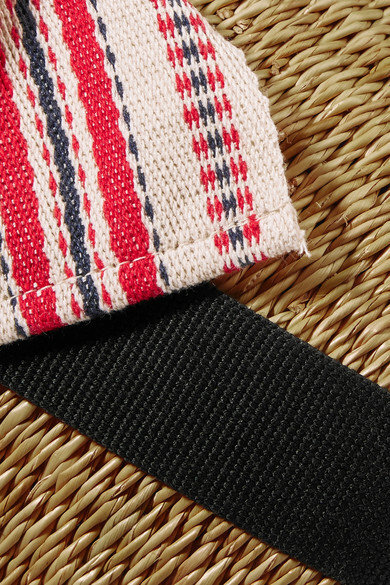 There are longer shoulder straps tucked inside to use when you need to keep your hands free. 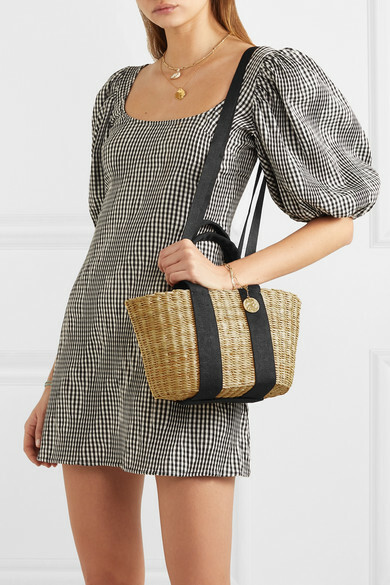 Shown here with: Georgia Alice Dress, Gabriela Hearst Sandals, Alighieri Bracelet, Maria Black Bracelet, Isabel Marant Bracelet, Kenneth Jay Lane Anklets.